Item Number: 266-6-53 17910 Actual Weight: 0.1 lb. Perfect for hard to bandage wounds. Lets air in and keeps moisture out. 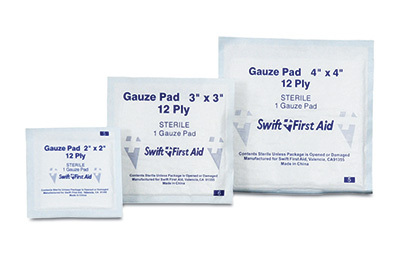 Individually packaged sterile gauze pads are ideal to cleanse and dress minor cuts, scrapes, or burns by allowing the removal of the dressing without opening the wound.